Background: The prevention and care of foot problems in diabetes begins with a risk classification. Today, the prosthetists and orthotists (CPO) and other health care professionals assess the risk of developing foot ulcers more or less subjectively. The objective of the study was to describe the construction of an eHealth tool, the D-Foot, which generates a risk classification. The reliability of the D-Foot was tested. Methods: The D-Foot includes 22 clinical assessments and four self-reported questions. The content validity was assured by expert group consensus and the reliability was assessed through an empirical test-retest study. Inter- and intra-rater reliability was calculated using patients referred to four departments of prosthetics and orthotics (DPO). Results: The agreement for the risk classification generated using the D-Foot was 0.82 (pooled kappa 0.31, varying from 0.16 to 1.00 at single DPOs). The inter-rater agreement was > 0.80 regarding the assessments of amputation, Charcot deformity, foot ulcer, gait deviation, hallux valgus/hallux varus and risk grade. The inter- and intra-rater agreements for the discrete measurements were > 0.59 and > 0.72 respectively. For continuous measurements, the inter- and intra-rater correlation varied (0.33-0.98 and 0.25-0.99 respectively). Conclusion: The D-Foot gave a reliable risk foot classification. However, there was a variation in the inter- and intra-rater reliability of the assessments included and refinements are needed for variables with low agreement. Based on the results, the D-Foot will be revised before it is implemented in clinical practice. Risk classification as a result of a structured foot assessment is a prerequisite to prevent the development of diabetic foot ulcers (DFU) [1-4]. An accurate risk assessment is crucial for effective DFU prevention, as well as for promoting good foot health, in order to enhance quality of life and reduce health-care costs [5, 6]. The interventions for patients running an increased risk of diabetic foot ulcers is podiatry, assistive devices (insoles, shoes), regular checks, education and multidisciplinary service [1, 3, 7]. The results from a recent survey performed in the Nordic countries shown an urgent need for improvement of the risk classification systems to be used in the clinic. The survey included 601 responses from hospitals and foot clinics in the Nordic countries and questioned whether guidelines in diabetes care were implemented in everyday clinical practice . The results showed that 24% answered they did not routinely examine the patients’ feet (144/601) and that 61% did not use the current guidelines in their prevention and care of foot problems in diabetic patients. The need for an improved assessment routine is therefore obvious and immediate. However, it should be noted that national and regional differences exist in terms of the need is for improvement of the risk classification systems that are used in the clinics. Information from the Swedish Board of Health and Welfare show large regional differences regarding the number of amputations in patients with diabetes in different parts of the country , ranging from 180 – 395 persons per 100,000 patients with diabetes (age-specific values for first-time amputees per 100,000 patients with diabetes in 2008-2012 for patients > 40 years old and under medical treatment for diabetes.) These numbers, considered as quality indicators, put a demand on politicians and decision-makers to offer health care givers valid and reliable methods to assess the foot ulcer risk. Moreover, it has been reported that 76% of the patients registered in the Swedish National Diabetes Register in 2013 were classified as risk group 1, indicating no risk of developing foot ulcers . This implies that the majority of patients with diabetes have no risk factors. This number contrasts with an expected prevalence of 50-67% of diabetic patients having neuropathy and they should consequently be classified as risk group 2 or more [1, 11, 12]. The responsibility for the prevention and/or treatment of diabetic foot complications rests with all medical staff and should preferably begin with a regular foot assessment performed in primary care or at the medicine clinics at the hospitals . The presence of an acute DFU should lead to rapid action with a referral to the multidisciplinary team [1, 3]. Moreover, when a health-care provider identifies a patient with an increased risk of developing DFU, a referral to a department of prosthetics and orthotics (DPO) and to podiatry is strongly recommended . At the DPO, a certified prosthetist and orthotist (CPO) is responsible for classifying the risk of DFU based on a foot assessment. The CPO then provides the patient with optimised footwear, insoles, orthoses or prostheses. To determine “optimised” treatment, factors such as a) the aim of the device, b) the general recommendations regarding DFU prevention and treatment and c) the patient’s preferences need to be considered. The prescription of assistive devices in Sweden (including insoles/shoes) is regulated by national law and regional recommendations [1, 13-17]. The current study was initiated because a) many referrals to the DPO did not include the patient’s risk stratification and b) as a reaction to the current lack of any structured assessment tool to be used by CPOs in Sweden. b) assess the inter- and intra-rater reliability of the tool. The D-Foot, an eHealth tool  for risk classification and foot assessment in diabetes, primarily intended for CPOs, was developed and tested during 2011-2015. A multicentre expert group in the Västra Götaland Region (VGR), consisting of CPOs, pedorthists, physiotherapists and orthopaedic surgeons, was created. A leader (UT) was designated to manage the project at four DPOs. Collaboration with diabetes patient associations was established. 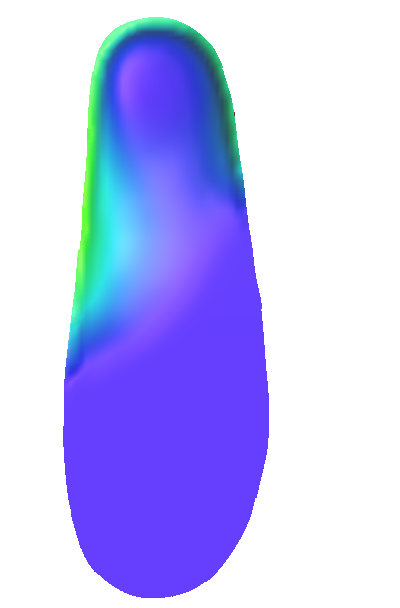 The software, called the D-Foot (vers. 2014.01), was programmed for tablets (Samsung Galaxy TAB 2 (10.1) and TAB 4 (10.0)). A manual was produced to assist the CPOs with the assessments, Figure 1. Figure 1 Some examples of the instructions in the D-Foot eHealth tool. The content validity of the D-Foot was assured through continuous discussions and revisions in combination with a systematic literature review [19-21]. The algorithm giving the risk classification (1-4) followed regional guidelines (Figure 2). The risk classification corresponds to the classification in the Swedish National Diabetes Register [1, 22]. Some variables (self-perceived pain; inappropriate footwear; insufficient function of the toes and metatarsophalangeal joints, gait deviation affected from hip/knee, foot length and foot width) not identified as risk factors in the regional guidelines, were also included, as they were found to be clinically relevant and of interest in future research. The criteria for the D-Foot were a) to include the most important risk factors for DFU and b) that the assessment procedures should be easy to learn and quick to perform. Figure 2 Risk classification 1-4, symptoms and recommended treatment displayed in the D-Foot eHealth tool. For the measurement of foot length and width, a calliper was used (Brunngård, Borås, art # 500210) and maximum toe height and navicular drop were measured using a ruler. The validity when measuring foot length using a calliper has previously been found to be high . A new method for measuring maximum toe height in a weight-bearing position, using a ruler, was introduced (Figure 1). A plastic goniometer (full length 36 cm) was used to measure the ankle angle and metatarsophalangeal joint dorsiflexion. The techniques used to measure foot width, foot length and maximum ankle dorsiflexion angle have been described previously in detail . Measurements of peripheral angiopathy was not included in the first version of the D-Foot. The reliability of the D-Foot was assessed by two CPOs at each of four DPOs. Inter-rater reliability was tested by comparing the results of the foot assessments made by two different observers on the same day. All patients were initially examined by the first CPO, called “Observer 1”, using the D-Foot web program, followed by an independent examination by Observer 2 on the same occasion. Each observer used his/her own tablet throughout the study. Intra-rater reliability was assessed by comparing the results obtained by the same observer on two different occasions (the second appointment approximately two weeks after the first) . A two-week interval was chosen, as it was judged to be short enough to ensure stable foot status but long enough to ensure that the observer would be free from memory bias . Prior to the study start, all eight observers (two observers at each DPO) were instructed on how to examine the feet using the D-Foot. The practical instructions followed a structured protocol and the observers tested using the web-based software on a tablet. After study completion, all the observers were asked to answer the System Usability Scale (SUS) . The SUS is a survey used to collect ten subjective answers about how users rate the use of an interactive technology (Table 4). To compare the risk classification made by the referring health-care provider with the risk classification generated by the D-Foot, an additional analysis of agreement was made between the two. Informed consent was obtained from the patients who agreed to participate and met the following inclusion criteria: being diagnosed with diabetes, having the ability to read and understand written instructions in Swedish, age ≥ 18 and referred to the DPO for the provision of assistive devices to prevent and treat diabetic foot complications. All the patients answered a survey on a tablet, including questions on height, weight, duration and type of diabetes, use of nicotine products and medication for treating high blood pressure or cardiac diseases. The patients also estimated whether they a) had the ability to walk normally, b) had good balance and c) perceived that they had normal sensations in their feet. In addition, the use of walking aids was reported. Ethical approval was given by the Gothenburg Regional Ethical Board (Dnr 1041-13). The D-Foot comprises 16 discrete measurements (e.g. amputation yes/no) and six continuous measurements (e.g. foot width). For the discrete measurements, inter- and intra-rater reliability was analysed with an estimate of the proportion of patients on whom the observers agreed [27, 28]. A value of 1.00, complete inter-rater agreement means that the two observers registered measurements such as hallux valgus as being the same for all patients in the study. Using the assumption of independent and identically distributed observations, a confidence interval (CI) for this probability was constructed (p < 0.05, two-sided, Bernoulli distribution assumption). Poor reliability is present if the agreement is close to 0 while values close to 1 represent excellent reliability and values close to 0.5 reflect moderate reliability . Cohen’s kappa analyses the “additional” agreement that was observed compared with the agreement that would be expected due to pure chance . It has been suggested that a kappa value between 0.41-0.60 shows moderate strength of agreement, 0.61-0.80 (substantial) and 0.81-1.00 (almost perfect) . First, a calculation of the kappa of each of the DPOs was made and, second, the obtained values were combined into an estimated pooled value, with the weights reflecting the number of patients at each DPO. When the distribution is zero (only one alternative is chosen) at a single DPO, the kappa value was set to 1 (e.g. observer 1 classified the patients foot as “no foot ulcer” and observer 2 did the same. For the continuous variables, the mean (± SD) and mean difference (± SD) between observations were calculated. A variation of Pearson’s correlation coefficient and the intra-class correlation coefficient (ICC) were used, beginning with a calculation of Pearson’s correlation coefficient and the ICC of each of the DPOs and the obtained values were then combined into an estimated pooled value, with the weights reflecting the number of patients at each DPO . Finally, Student’s t-test and the chi-square test (p < 0.05) were used to analyse whether age and gender were similar between the groups of included patients compared with those who refrained from participating in the study. The results for the right foot are presented, as the exploratory analysis revealed that there was dependence between the feet. The SUS score was calculated per person and per question respectively . Each question could be answered with a score (strongly disagree = 1 to strongly agree = 5). First, from the responses with an odd number, “one” was subtracted. Second, from the responses with an even number, subtract their value from “five”. The value obtained for each question and person ranged from 0-4, with four as the highest response. By multiplying the sum of the converted responses by 2.5, a score for all 10 questions, ranging from 0-100, was obtained. By multiplying the total score for each question by 3.125, a score ranging from 0-100 was obtained for the eight observers. The mean and SD for the total scores were then calculated. Table 1 (see attached supplement) presents the D-Foot tool including four patient-reported questions, 16 discrete foot assessments and six continuous foot assessments. In the same table, the risk category for each assessment, e.g. neuropathy, foot deformity, skin pathology and anamneses is presented, together with a brief description of the reason for each assessment being included and with references to existing evidence in the literature. Finally, in the last column, the expert group states the improvements made to the D-Foot version 2. Examples of assessments included in the D-Foot are presented in Figure 1. The study population consisted of 102 patients at four sites: DPOA-DPOD. No statistical difference was observed, regarding gender, between the 13 women and 13 men who declined participation compared with those who agreed, 42 women and 55 men, p = 0.434. The estimated mean age of those who declined participation was 66 ± 16 years vs. 64 ± 13 years for the included participants, p = 0.187. After excluding incomplete assessments (n = 5 inter-rater tests, n = 20 intra-rater tests), the data set consisted of 97 inter-rater measurements (DPOA (n = 38), DPOB (n = 14), DPOC (n = 23) and DPOD (n = 22)) and 82 intra-rater measurements. The inter-rater measurement patient group consisted of 33 patients with diabetes type 1 and 64 patients with type 2. The mean duration of diabetes was 17 ± 14 years, the HbA1c was 60 ± 15 mol/mmol (6.7 ± 1.5%) and the BMI was 28 ± 5. The survey revealed that 26 (27%) used nicotine products (15 cigarettes, 11 snuff), 74 (76%) were taking medicine to treat high blood pressure and 31 (32%) were being treated for cardiac diseases. Moreover, 62 (64%) reported that they walked normally and experienced good balance, 20 (21%) used a walking aid and 54 (56%) reported having normal foot sensation. Seventy-five (77%) of the patients had signs of neuropathy when assessed by Observer 1 at the first examination (having tingling/numbness, less sweaty feet and/or a positive Ipswich Touch Test). The time interval between the first and the second assessment was 20 ± 11 days. In Table 2, the inter- and intra-rater agreement for the discrete variables for the right foot is presented, as well as the prevalence of each risk factor, as assessed by Observer 1 at the first appointment. 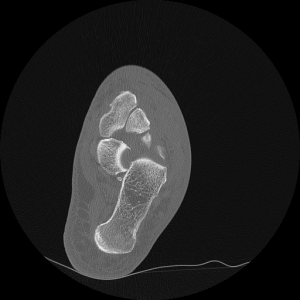 An inter-rater agreement of > 0.80 was found for the risk factors: presence of amputation, Charcot deformity, foot ulcer, gait deviation, hallux valgus/hallux varus and risk grade. The intra-rater agreement revealed that 13 measurements had a pooled kappa of > 0.50 and four inter-rater measurements had a kappa of > 0.50. The sub-analysis revealed that the kappa value differed between sites (inter-rater kappa < 0.05 at a single DPO), i.e. with regard to insufficient function in the toes and metatarsal phalangeal joints. 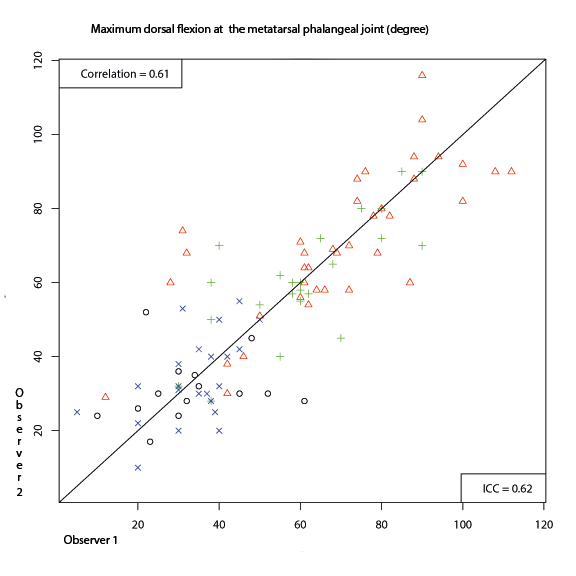 The agreements for the continuous variables are presented in Table 3, exemplified with a scatter plot of maximum dorsal flexion at the hallux joint, Figure 3. The scatter plot revealed site-dependent differences, indicating systematically lower values at different sites, e.g. DPOB and DPOD measured maximum dorsal flexion at the metatarsophalangeal joint as smaller (20-50 degrees) compared with DPOA and DPOC (50-150 degrees). Figure 3 Inter-rater agreement in the assessment of passive range of dorsiflexion at metatarsophalangeal joint 1. Scatter plots visualizing the variation in inter-rater agreement at the four departments of prosthetics and orthotics (DPO). DPOA: red triangle; DPOB: black circle; DPOC: green plus sign; DPOD: blue cross. Forty-one of the 97 referrals (42%) to a DPO included a risk classification made by a medical doctor. The agreement (± CI width) between their risk classification and the risk classification generated by the D-Foot was 0.41 ± 0.11 and Cohen’s kappa was 0.06. All eight observers answered the SUS and scored the 10 questions with regard to the usability of the D-Foot as 70 ± 16 (45-95), Table 4. An SUS score (78) for a separate question was: “I would imagine that most people would learn to use this system very quickly” and “I found the system very cumbersome to use”. An SUS score (75) was “I thought the system was easy to use” and “I found that the various functions in this system were well integrated”. The question “I think that I would need the support of a technical person to be able to use this system“ had an SUS score of 84. The most important issue in the current study is the presentation of a novel eHealth tool, the D-Foot aimed to be used by CPOs. The results of the current study show a high level of agreement for the risk classification (inter-agreement 0.83, pooled kappa 0.31, varying from 0.16 to 1.00 at single departments), (Table 2). The corresponding intra-rater agreement was 0.88 (pooled kappa 0.63, varying from 0.42 to 1.00) at single departments. 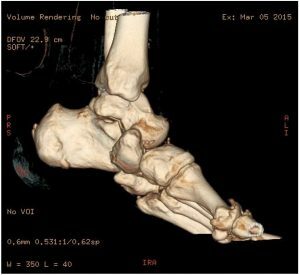 A high degree of inter- and intra-rater reliability was found for the presence of Charcot foot deformity and amputation (agreement of > 0.90, kappa > 0.73) . These risk factors are easy to detect by visual inspection. 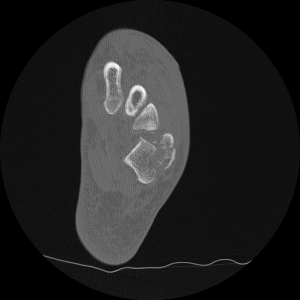 The agreement between the observers was adequate when it came to the Ipswich Touch Test and hallux valgus/varus, all of which showed an agreement between 0.79-0.86 and a kappa of > 0.56. As expected, the intra-rater agreement was generally higher than the inter-rater agreement. Measurements of foot length and width (Table 3) using a foot calliper were shown to be highly reliable (pooled correlation > 0.92) . The low agreement when measuring toe height and navicular drop test (pooled correlation < 0.33; pooled ICC < 0.32) led to a decision to exclude the navicular drop test in the next version of the D-Foot. Moreover, the navicular drop test was found to be a time-consuming assessment. The scatter plot (Figure 3) revealed site-dependent differences when measuring the passive motion of the big toe. For this measurement, the correct body position (hip, knee and foot joint) is important, as it affects the hallux dorsiflexion. Moreover, several registered values relating to the big toe and ankle joint motion were found to be extreme and were excluded in the analysis. One explanation for these extreme values might be uncertainty among clinicians about how to use and read a goniometer. In some patients, the time interval between the assessments was longer (20 days) compared with the recommended 14-day interval. This was due to personal reasons or technical problems at the DPO. With a prolonged interval, there is a greater possibility that the foot status will change, thus reducing the level of intra-rater agreement. The results of the study emphasise the importance of using a structured clinical assessment and underline the challenge involved in making a reliable foot assessment, even though a structured tool and a manual are available . The D-Foot captures essential risk factors that need to be assessed, i.e. neuropathy, foot deformities, skin pathologies, history of ulcers/amputation, ongoing foot ulcers and osteoarthropathy (Charcot deformity) [1, 3]. To capture and identify the risk factor of “foot deformities”, several assessments (Charcot deformity, maximum toe height, hallux valgus/varus, calcaneus valgus/varus, abduction/adduction of the forefoot, dorsiflexion at the metatarsal joint, dorsiflexion at the ankle joint, prominent superficial bony structures in the plantar area, navicular drop test, gait deviation and insufficient function of the toes and metatarsal phalangeal joints) were included. Moreover, areas with excessive pressure on the foot and inspection of the alignment of the shoes were included in the D-Foot. Several of these risk factors have been found to be related to high peak pressure, thereby contributing to an increased risk of developing pressure-induced foot ulcers . A new measurement of maximum toe height, as a sign of hammer toe deformity, was introduced. The accuracy of assessing biomechanical abnormalities, such as hammer toe deformity, by visual inspection and clinical assessments has been reported to be limited [34, 35]. In the current study we introduced a quantitative measure of hammer toe deformity “the measure of maximum toe height”. By using this new method a ruler was used and the assessment was demonstrated in Figure 1. The measurement error, of toe height measurement using a ruler, has been reported to be good (± 0.18 mm) . A hammer toe height exceeding 25 mm was set as the threshold value. The relevance of setting 25 mm as a threshold was based on commonly used toe-box heights of 22-26 mm for off-the-shelf shoes (for adults) [36, 37]. Among the included assessments, the Ipswich Touch Test  and measuring foot length  have previously been tested for validity and/or reliability, with good results. However, the present study shows that there is a need to validate the remaining assessments. Neuropathy, one important risk factor, was registered as being present in 77% of the patients. Neuropathy was considered to be present if any of the following three tests/questions produced a positive result: 1) numbing/tingling sensation in the feet, 2) less sweaty feet nowadays compared with recent years and 3) a positive Ipswich Touch Test [38, 39]. That is, peripheral neuropathy was assessed in three ways. Moreover, the Ipswich Touch test was by the consensus group regarded as a better test to be performed by health-providers at department of prosthetics and orthotics than the monofilament. Less sweaty feet, one cause of dry skin, was included as a sign of autonomic neuropathy . The prevalence of neuropathy in the present study is similar to the prevalence of 67% reported by Kärvestedt et al. . It is noteworthy that 56% of the patients, as shown in the self-report questions, perceived that they had normal sensitivity in their feet, indicating that some patients are not aware of the neuropathy. The reasons to include questions whether the patients perceived that they had ‘normal sensation’ and ‘walked normally’ were to describe in-depth the cohort of patients. Based on the current results, the main improvements to the next version of D-Foot will be: 1) to add a test of peripheral angiopathy, 2) to exclude the navicular drop test, the assessment of areas of excessive pressure with callosities, the assessment of insufficient function in the metatarsal joints/toes and the assessment of gait deviation. Finally clarifications of the instructions will be made. 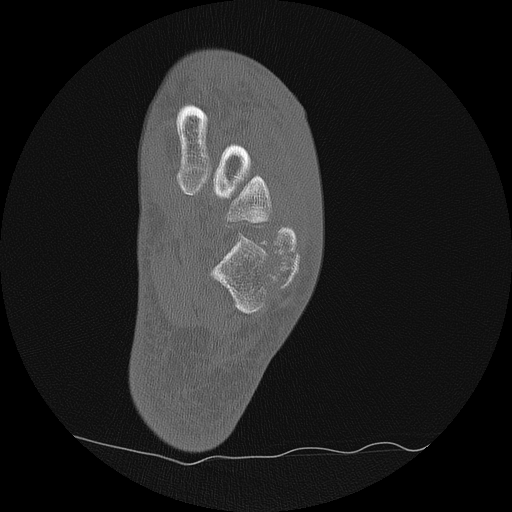 The lack of measurements of peripheral angiopathy in the current version of the D-Foot is a weakness that has been thoroughly discussed in the expert group. Even if the palpation of foot pulses is not a robust method an addition of this test will improve the risk classification [41, 42]. There are limitations to the kappa statistic appearing when the result is unbalanced (the observers are likely to choose one of the alternatives). This leads to a low kappa value, even though the agreement is high [29, 43]. In these cases, it is more informative to consider the kappa value for each separate DPO in combination with the information obtained from the percentage of agreements. A kappa value below zero means that the agreement is less than what can be expected due to chance. The expert group thought that this occurred in single assessments because the description of the assessment was unclear and was therefore misinterpreted by the observers. As described, two techniques were used to reflect the level of reliability among the discrete variables. However, the percentage of agreement has the limitation that it does not consider the possibility that the agreement was made by chance and the limitations in the kappa statistics have been stated above. A variety of foot assessment forms and routines have been developed. None of them, to the best of our knowledge, has been tested for reliability [1, 21, 44-49]. The fact that health care professionals use methods that are more or less tested for validity/reliability in foot screening procedures has previously been demonstrated by Formosa et al. . These authors made a literature review that evaluated current guidelines for foot screening in diabetes. The authors found a great variability in terms of the evidence-based methods used to achieve the set targets. These authors concluded that more attention should be paid to the limitations in current guidelines, the underlying evidence and the recommendations for everyday clinical practice . In current study, poor agreement (0.41) and a low kappa (0.06) were found when comparing the risk classification made by the referring health-care providers and the D-Foot classification. The mismatch indicates that health-care providers need guidance to identify the “true” objective, risk grades 1-4. Using digital tools, such as the D-Foot, a more objective and consistent assessment of the risk level can be made [21, 47]. 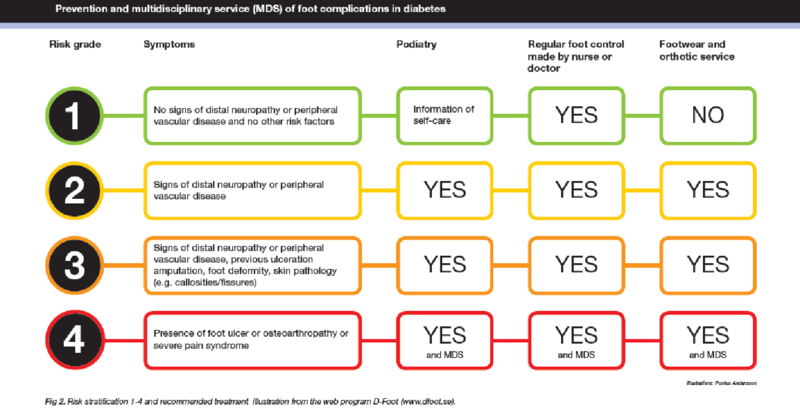 With modifications, such as adding assessments of peripheral angiopathy and excluding some of the tests identifying foot deformities, the D-Foot will hopefully be useful as a decision support for health-care providers other than CPOs. The reason for excluding measurements of peripheral angiopathy in the current version of the D-Foot was that the CPOs, in general, are unskilled in performing these assessments. Moreover, the validity and reliability when palpating foot pulses have been shown to be weak [41, 42]. Using a tablet was a new experience for all eight observers. In their ratings of the usability of the D-Foot, there was some variation (45-95), indicating that some users found the D-Foot less useful and some found it excellent . The observers had a strong belief that they would need technical support when using the D-Foot in clinical practice. When introducing the D-Foot in clinical practice, an introductory course designed to explain the basics of the D-Foot, thereby facilitating its use, should be available. Naturally, there was a great deal of variety in the observers’ opinions when it came to their thoughts about using the D-Foot frequently. The D-Foot software generates a complete report, including all foot assessments and the risk classification. This report should preferably be automatically linked to the medical record system to save time, improve the quality of documentation and simplify and enhance treatment evaluation. Several patients made positive comments when their feet were assessed using the D-Foot program. The risk level classification, displayed during the session, and the illustrative interface inspired a motivational discussion in terms of the patients’ self-care, the need for podiatry and footwear. Patients at risk of developing diabetic foot ulcers are more likely to be identified if health-care professionals use structured routines [20, 21]. The D-Foot was constructed to provide a consistent examination of the feet. A revised D-Foot would give a reliable risk classification, with the aim of reducing the risk of developing diabetic foot ulcers. The plan is to implement and evaluate the D-Foot in clinical practice during 2017. The evaluation will examine: a) patients’ opinion of how they experience being examined using the D-Foot, b) the CPOs’ opinion of what it is like to use the D-Foot in clinical practice and c) how meta-data generated by the D-Foot can be used in the prevention and care provided by the DPO. Continuous improvements to the D-Foot are planned, based on structured evaluations of the experience of patients and personnel when the D-Foot is implemented and used in clinical practice. The level of agreement for risk classification, ulcers, amputations and Charcot deformity was high. There was variation in the inter- and intra-rater reliability. After revision, the D-Foot is recommended for use in daily practice at DPOs and by other health-care providers. An international spread is possible, with translation and adaptation to national recommendations in other countries. We would like to thank all the patients for their contribution to the study, together with all the co-workers at the DPO Sahlgrenska University Hospital, Gothenburg, the DPO Södra Älvsborgs Sjukhus, Borås, the DPO NU-sjukvården, Trollhättan/Uddevalla, and the DPO Skaraborgs Ortopedservice AB, Skövde, all situated in the Västra Götaland Region in Sweden. Finally, we would like to thank our graphic designer, Pontus Andersson, and web programmer, Christoffer Thomeé. This research was supported by Stiftelsen Promobilia, Stiftelsen Skobranschens Utvecklingsfond, the Research and Development Council of the County of Göteborg and Södra Bohuslän, the Health & Medical Care Committee of the Västra Götaland Region, Stiftelsen Felix Neubergh, Stiftelsen Gunnar Holmgrens Minne, IngaBritt & Arne Lundbergs Forskningsstiftelse, Adlerbertska forskningsstiftelsen, Diabetesfonden and the Gothenburg Diabetes Association, Greta och Einar Askers Stiftelse, Hans Dahlbergs stiftelse för miljö och hälsa and Sveriges Ortopedingenjörers Förening. The data sets supporting the conclusion of this article are included within the article. UT designed the study, researched the data, contributed to discussions and wrote the manuscript. RT, RZ, JK, VL, JS and KH designed the study, researched the data, contributed to discussions, reviewed and edited the manuscript. Ethical approval was given by the Gothenburg Regional Ethical Board (Dnr 1041-13). Patients were informed of the study design before they provided written consent. Västra Götalandsregionen. Regionalt vårdprogram/riklinjer. Diabetesfoten 2014. https://alfresco.vgregion.se/alfresco/service/vgr/storage/node/content/3132/Diabetesfoten.pdf?a=false&guest=true&native=true. Accessed 2017-01-22.
International Working Group on the Diabetic Foot. IWGDF Guidance on the prevention of foot ulcers in at-risk patients with diabetes. 2015. http://iwgdf.org/guidelines/guidance-for-prevention-2015/. Accessed 2017-01-22. Socialstyrelsen. Nationella riktlinjer för diabetesvård 2015. Schaper NC, Van Netten JJ, Apelqvist J, Lipsky BA, Bakker K, and on behalf of the International Working Group on the Diabetic Foot. Prevention and management of foot problems in diabetes: a Summary Guidance for Daily Practice 2015, based on the IWGDF Guidance Documents. Diabetes Metab Res Rev 2016; 32: 7-15. Ragnarson Tennvall G and Apelqvist J. Health-related quality of life in patients with diabetes mellitus and foot ulcers. J Diabetes Complications 2000; 14: 235-41. Ragnarson Tennvall G and Apelqvist J. Health-Economic Consequences of Diabetic Foot Lesions. Clin Infect Dis 2004; 39: 132-9. Netten JJ, Price PE, Lavery LA, Monteiro‐Soares M, Rasmussen A, Jubiz Y, et al. Prevention of foot ulcers in the at‐risk patient with diabetes: a systematic review. Diabetes Metab Res Rev 2016; 32: 84-98. Annersten Gershater M. The use of clinical guidelines during the treatment of diabetic foot ulcers in four Nordic countries. EWMA Journal 2016; 16: 23. Socialstyrelsen. Diabetesvård. Rekommendationer, bedömningar och sammanfattning. 2015. Hellstrand Tang U, Zugner R, Lisovskaja V, Karlsson J, Hagberg K, and Tranberg R. Foot deformities, function in the lower extremities, and plantar pressure in patients with diabetes at high risk to develop foot ulcers. Diabet Foot Ankle 2015; 6. Bakker K, Apelqvist J, Schaper NC, and on behalf of the International Working Group on the Diabetic Foot Editorial Board. Practical guidelines on the management and prevention of the diabetic foot 2011. Diabetes Metab Res Rev 2012; 28: 225-31. Kärvestedt L, Mårtensson E, Grill V, Elofsson S, von Wendt G, Hamsten A, et al. The prevalence of peripheral neuropathy in a population-based study of patients with type 2 diabetes in Sweden. J Diabetes Complications 2011; 25: 97-106. Västra Götalandsregionen. Handbok för förskrivning av personliga hjälpmedel. 2015. http://www.vgregion.se/sv/Ovriga-sidor/Hjalpmedel/Hjalpmedel-i-Vastra-Gotaland/Handboken/. Accessed 2017-01-22. Socialdepartementet. Patientlagen (SFS 2014:821). Socialdepartementet. Socialdepartementet. Patientsäkerhetslagen (SFS 2010:659). Socialdepartementet. Socialdepartementet. Lagen om medicintekniska produkter (SFS 1993:584). http://www.riksdagen.se/sv/Dokument-Lagar/Lagar/Svenskforfattningssamling/Lag-1993584-om-medicintekni_sfs-1993-584/. Accessed 2017-01-22. Socialdepartementet. Hälso- och sjukvårdslagen (SFS 1982:763). Socialdepartementet. World Health Organization. eHealth. 2005. http://apps.who.int/iris/bitstream/10665/20303/1/A58_21-en.pdf. Accessed 16 Dec 2016. Monteiro-Soares M and Dinis-Ribeiro M. A new diabetic foot risk assessment tool: DIAFORA. Diabetes Metab Res Rev 2016. Leese G, Schofield C, McMurray B, Libby G, Golden J, MacAlpine R, et al. Scottish Foot Ulcer Risk Score Predicts Foot Ulcer Healing in a Regional Specialist Foot Clinic. Diabetes Care 2007; 30: 2064-9. Leese GP, Reid F, Green V, McAlpine R, Cunningham S, Emslie-Smith AM, et al. Stratification of foot ulcer risk in patients with diabetes: a population-based study. Int J Clin Pract 2006; 60: 541-5. Swedish National Diabetes Register. Annual report 2013. 2014. Williams DS and McClay IS. Measurements Used to Characterize the Foot and the Medial Longitudinal Arch: Reliability and Validity. Phys Ther 2000; 80: 864-71. Karanicolas PJ, Bhandari M, Kreder H, Moroni A, Richardson M, Walter SD, et al. Evaluating Agreement: Conducting a Reliability Study. The Journal of Bone & Joint Surgery 2009; 91: 99-106. Streiner DL and Norman GR. Health measurement scales: a practical guide to their development and use. Oxford: Oxford University Press. 2008. Kortum P, Miller J, and Bangor A. An Empirical Evaluation of the System Usability Scale. Int J Hum Comput Interact 2008; 24: 574-94. Cohen J. A Coefficient of Agreement for Nominal Scales. Educ Psychol Meas 1960; 20: 37-46. Fleiss JL, Levin BA, and Paik MC. Statistical methods for rates and proportions. Hoboken, NJ: Wiley. 2003. Feinstein AR and Cicchetti DV. High agreement but low Kappa: I. the problems of two paradoxes. J Clin Epidemiol 1990; 43: 543-9. Landis JR and Koch GG. The Measurement of Observer Agreement for Categorical Data. Biometrics 1977; 33: 159-74. Brooke J. SUS-A quick and dirty usability scale. Usability evaluation in industry 1996; 189: 4-7. Prion S and Haerling KA. Making Sense of Methods and Measurement: Pearson Product-Moment Correlation Coefficient. Clinical Simulation in Nursing 2014; 10: 587-8. Lavery LA, Armstrong DG, Wunderlich RP, Tredwell J, and Boulton AJ. Predictive value of foot pressure assessment as part of a population-based diabetes disease management program. Diabetes Care 2003; 26: 1069-73. Jarvis H, Nester C, Jones R, Williams A, and Bowden P. Inter-assessor reliability of practice based biomechanical assessment of the foot and ankle. Journal of Foot and Ankle Research 2012; 5: 14. Wrobel JS and Armstrong DG. Reliability and validity of current physical examination techniques of the foot and ankle. J Am Podiatr Med Assoc 2008; 98: 197-206. Nohrlander Å. Foten, lästen och skon. SFI-systemet för herrskor. Stockholm: Emil Kihlströms Tryckeri. 1954. Rome K, Stewart S, Vandal AC, Gow P, McNair P, and Dalbeth N. The effects of commercially available footwear on foot pain and disability in people with gout: A pilot study. BMC Musculoskelet Disord 2013; 14: 2-9. Rayman G, Vas PR, Baker N, Taylor JCG, Gooday C, Alder AI, et al. The Ipswich Touch Test: a simple and novel method to identify inpatients with diabetes at risk of foot ulceration. Diabetes Care 2011; 34: 1517-8. Boulton AJ, Armstrong DG, Albert SF, Frykberg RG, Hellman R, Kirkman MS, et al. Comprehensive Foot Examination and Risk Assessment: A report of the Task Force of the Foot Care Interest Group of the American Diabetes Association, with endorsement by the American Association of Clinical Endocrinologists. Diabetes Care 2008; 31: 1679-85. Tesfaye S, Boulton AJ, Dyck PJ, Freeman R, Horowitz M, Kempler P, et al. Diabetic neuropathies: update on definitions, diagnostic criteria, estimation of severity, and treatments. Diabetes Care 2010; 33: 2285-93. Lundin M, Wiksten J-P, Peräkylä T, Lindfors O, Savolainen H, Skyttä J, et al. Distal Pulse Palpation: Is It Reliable? World J Surg 1999; 23: 252-5. Magee TR, Stanley PR, al Mufti R, Simpson L, and Campbell WB. Should we palpate foot pulses? Ann R Coll Surg Engl 1992; 74: 166-8. Hallgren KA. Computing Inter-Rater Reliability for Observational Data: An Overview and Tutorial. Tutorials in quantitative methods for psychology 2012; 8: 23-34. National Institute for Clinical Excellence. Diabetic foot problems: prevention and management. https://www.nice.org.uk/Guidance/NG19. Accessed 2017-01-22. Bergin SM, Gurr JM, Allard BP, Holland EL, Horsley MW, Kamp MC, et al. Australian Diabetes Foot Network: management of diabetes-related foot ulceration – a clinical update. The Medical journal of Australia 2012; 197: 226. Singh N, Armstrong DG, and Lipsky BA. Preventing foot ulcers in patients with diabetes. JAMA 2005; 293: 217-28. Schoen DE, Glance DG, and Thompson SC. Clinical decision support software for diabetic foot risk stratification: development and formative evaluation. Journal of foot and ankle research 2015; 8: 73. Woodbury MG, Sibbald RG, Ostrow B, Persaud R, and Lowe JM. Tool for Rapid & Easy Identification of High Risk Diabetic Foot: Validation & Clinical Pilot of the Simplified 60 Second Diabetic Foot Screening Tool. PLoS One 2015; 10. Formosa C, Gatt A, and Chockalingam N. A Critical Evaluation of Existing Diabetic Foot Screening Guidelines. Rev Diabet Stud 2016; 13: 158-86. Veves A and Malik RA. Diabetic neuropathy: clinical management Totowa, N.J: Humana Press. 2007. Monteiro-Soares M, Boyko EJ, Ribeiro J, Ribeiro I, and Dinis-Ribeiro M. Risk stratification systems for diabetic foot ulcers: a systematic review. Diabetologia 2011; 54: 1190-9. Bus SA, van Netten JJ, Lavery LA, Monteiro-Soares M, Rasmussen A, Jubiz Y, et al. IWGDF guidance on the prevention of foot ulcers in at-risk patients with diabetes. Diabetes Metab Res Rev 2016; 32 Suppl 1: 16-24. Ward JD. The diabetic leg. Diabetologia 1982; 22: 141-7. Tesfaye S. Neuropathy in diabetes. Medicine 2010; 38: 649-55. Boulton AJ, Kirsner RS, and Vileikyte L. Neuropathic Diabetic Foot Ulcers. The New England journal of medicine 2004; 351: 48-55. Boulton AJ, Vinik AI, Arezzo JC, Bril V, Feldman EL, Freeman R, et al. Diabetic Neuropathies. Diabetes Care 2005; 28: 956-62. Gary Sibbald R, Ayello EA, Alavi A, Ostrow B, Lowe J, Botros M, et al. Screening for the high-risk diabetic foot: A 60-second tool (2012). Advances in Skin and Wound Care 2012; 25: 465-76. Abbott CA, Carrington AL, Ashe H, Bath S, Every LC, Griffiths J, et al. The North-West Diabetes Foot Care Study: incidence of, and risk factors for, new diabetic foot ulceration in a community-based patient cohort. Diabet Med 2002; 19: 377-84. Boyko EJ, Ahroni JH, Stensel V, Forsberg RC, Davignon DR, and Smith DG. A prospective study of risk factors for diabetic foot ulcer. The Seattle Diabetic Foot Study. Diabetes Care 1999; 22: 1036-42. Lavery LA, Armstrong DG, Vela SA, Quebedeaux TL, and Fleischli JG. Practical criteria for screening patients at high risk for diabetic foot ulceration. Arch Intern Med 1998; 158: 157-62. Zimny S, Schatz H, and Pfohl M. The role of limited joint mobility in diabetic patients with an at-risk foot. Diabetes Care 2004; 27: 942-6. Nielsen R, Rathleff M, Simonsen O, and Langberg H. Determination of normal values for navicular drop during walking: a new model correcting for foot length and gender. Journal of Foot and Ankle Research 2009; 2: 12. Pitei DL, Foster A, and Edmonds M. The effect of regular callus removal on foot pressures. 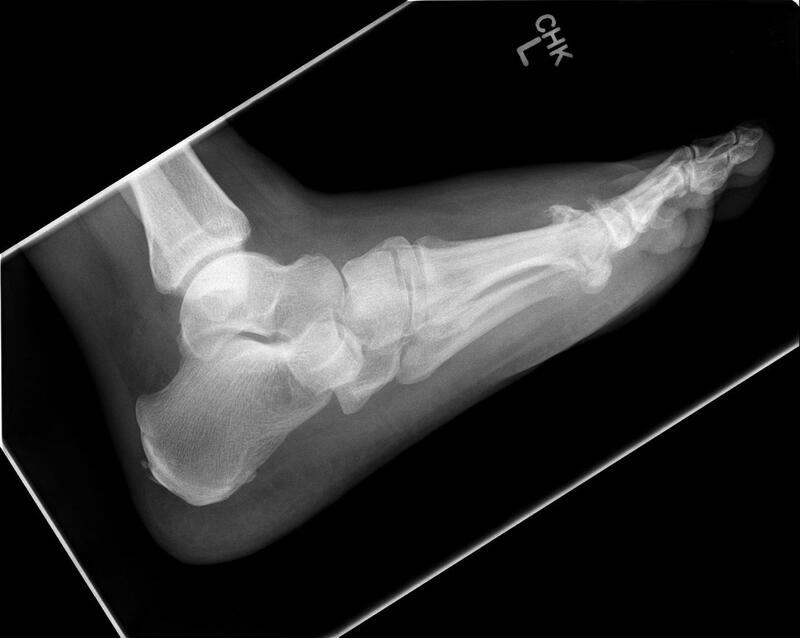 J Foot Ankle Surg 1999; 38: 251-5. Duffin AC, Kidd R, Chan A, and Donaghue KC. High plantar pressure and callus in diabetic adolescents. Incidence and treatment. J Am Podiatr Med Assoc 2003; 93: 214-20. Young MJ, Cavanagh PR, Thomas G, Johnson MM, Murray H, and Boulton AJM. The effect of callus removal on dynamic plantar foot pressures in diabetic patients. Diabet Med 1992; 9: 55-7. Bristow I. Non-ulcerative skin pathologies of the diabetic foot. Diabetes Metab Res Rev 2008; 24: S84-S9. Boyko EJ, Ahroni JH, Cohen V, Nelson KM, and Heagerty PJ. Prediction of Diabetic Foot Ulcer Occurrence Using Commonly Available Clinical Information. Diabetes Care 2006; 29: 1202-7. Adler AI, Boyko EJ, Ahroni JH, and Smith DG. Lower-extremity amputation in diabetes. The independent effects of peripheral vascular disease, sensory neuropathy, and foot ulcers. Diabetes Care 1999; 22: 1029-35. Andersen H. Motor dysfunction in diabetes. Diabetes Metab Res Rev 2012; 28 Suppl 1: 89-92. Perttunen JR, Anttila E, Sodergard J, Merikanto J, and Komi PV. Gait asymmetry in patients with limb length discrepancy. Scand J Med Sci Sports 2004; 14: 49-56. Harrison SJ, Cochrane L, Abboud RJ, and Leese GP. Do patients with diabetes wear shoes of the correct size? Int J Clin Pract 2007; 61: 1900-4.